Happy Year of the Dragon! 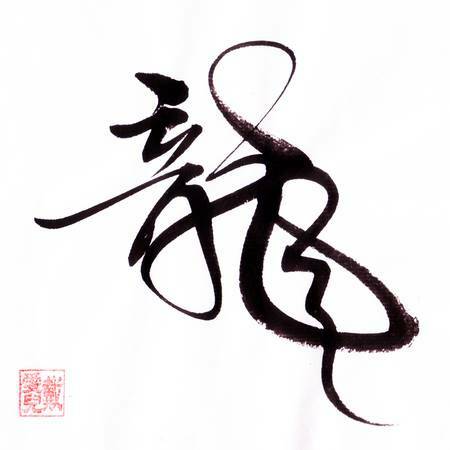 This is my wild grass calligraphy for the Chinese character, dragon. Chinese writing dates back to over 5000 years ago. Chinese characters evolved from pictographs to more abstract ideograms to the modern-day character, which bears a slight resemblance to its pictographic origins. The characters are divided into 3 main categories : pictographs , ideograms , phonograms. Dragon is a pictograph. The original oracle bone script is a rough drawing of the dragon. It has evolved to the modern day character but you can still vaguely see the head and body on the left side, the back and tail on the right side.